As Rotarians we ask ourselves “Will it be BENEFICIAL to all concerned”. 7pm Tuesday, 02nd October at Cafe 30 on McGregor Road. South Pacific Waste Recyclers is Fiji’s first and only paper recycling plant set up in 2012. Their aim is to create a sustainable society where recycling is the normal routine of businesses and individuals alike. 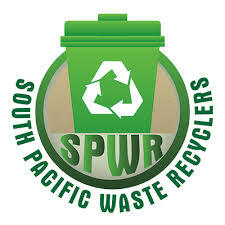 South Pacific Waste Recyclers takes a huge step in the right direction of fulfilling this aim. With a 24-hour operation, 12 tonnes of waste paper is processed that would otherwise end up as general rubbish. The recycling plant was set to reduce the pollution of our environment, seeing that all waste paper has some appreciable value. The speakers from South Pacific Waste Recyclers will speak on the work undertaken at the plant and the objectives of the company going forward. Please join us to hear about the important recycling work being undertaken by South Pacific Waster Recyclers at our meeting Tuesday night – Rotary Fiji members and guests are welcome. Your RSVP is deeply appreciated by 4pm on Tuesday 02 October. Previous post ← 350 Pacific – Come Listen!